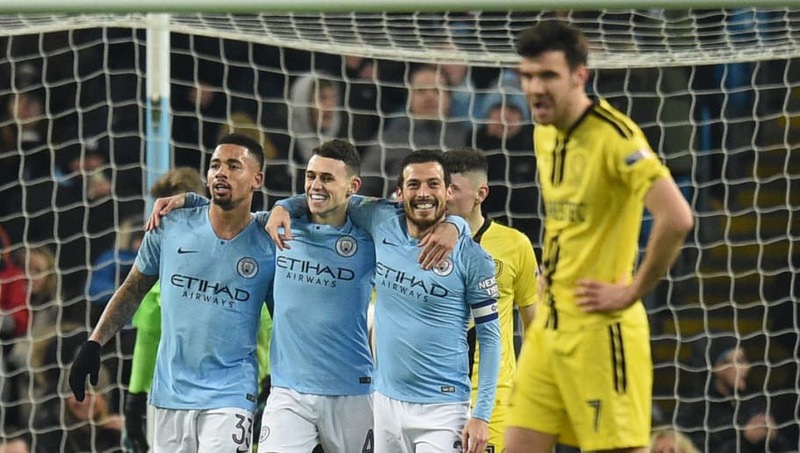 ​Burton Albion will welcome Manchester City to the Pirelli Stadium for the second leg of the Carabao Cup semi-final on Tuesday. Burton have the impossible job of overcoming a 9-0 defeat, but they can have a real go at the Premier League champions knowing they have very little to lose. The Albion will be hoping City will treat the game as a dead rubber to give themselves any semblance of a chance to cause an upset. Manchester City look to be free of injury troubles, with De Bryune and Aguero raring to go once again; Mendy however is still unavailable. Youngsters like Phil Foden and Philippe Sandler will hope to get an opportunity to showcase their abilities. Guardiola has promised to field a strong lineup, which will be music to the ears of Gabriel Jesus, who will have another chance to add to his impressive goal tally this year. Burton will be without midfielder Scott Fraser as he was taken off in their 2-2 draw with Doncaster Rovers on Saturday. ​Manchester City Muric; Walker, Sandler, Stones, Zinchenko​; D.Silva, Foden, B.Silva; Mahrez, Jesus, Sane. ​Burton Albion ​Collins; Miller, Brayford, Buxton, Hutchinson; Wallace, Quinn, Templeton; Akins, Boyce, Harness. City's 9-0 thrashing of Burton Albion was their first time facing one another, and with this being their second time coming up against one another, Burton will hoping to somewhat redeem themselves and put in a spirited performance. City are currently on six game winning streak and will be looking to make that seven against Burton on Wednesday night. Burton have only won one of their last five matches, drawing twice during that period and their fans won't be expecting too much against Premier League champions, but a good performance will certainly do a world of good for the squad and their fans. This looks another guaranteed win for Pep's men in blue. Gabriel Jesus will be looking to add to his 14 goal tally this season, especially after scoring four past the same opponents a couple of weeks ago. Burton will look at this game as an impossible task but it could be an opportunity for their players to put in a good performance against elite opponents and perhaps give themselves the slightest bit of confidence after a bad run of form of late.